We supply you with crushed stone, prepared concrete, agricultural lime and more. 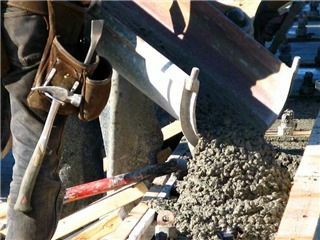 Ask for our advice to make sure you get the right concrete for your needs. Find out about all the ways quality lime can help your farm. We offer various stone sizes that adapt to your projects. 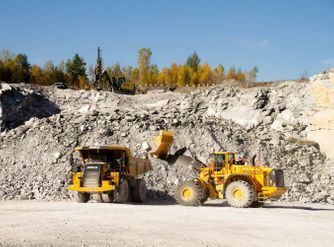 Your supplier of prepared concrete, cement and crushed stone in Drummondville and Granby for nearly 60 years, Carrière d'Acton Vale also specializes in the production of natural agricultural lime and filter sand. Our products are recognized for their high quality and comply with the most demanding standards. That's why industries, civil engineers and individuals trust us so much. Call us to find out how we can help with your project. With our large fleet of cement mixers and dump trucks, we can respond effectively to the needs of our customers. Our clientele consists mainly of individuals, general contractors, form setters, independent builders, concrete product manufacturers and farmers. Carrière d'Acton Vale is a company that started out and grew up with farmers and producers, and has emerged as a major business by meeting their needs in Montérégie, Centre-du-Québec and Estrie. One of our primary goals is to offer our customers high quality lime products and unique personalized service, all at reasonable prices. 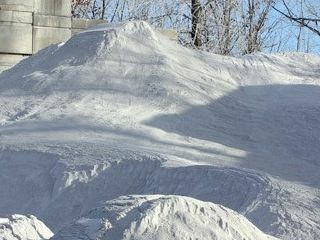 In addition to producing and supplying prepared concrete, cement and crushed stone in the Drummondville and Granby regions, Carrière d'Acton Vale is proud to offer a concrete and asphalt recycling service. We also have equipment for sale.